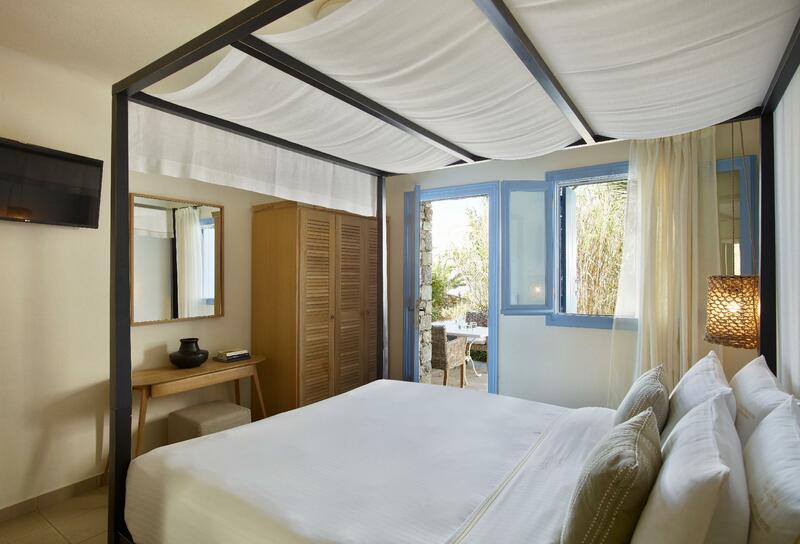 ﻿ Vencia Boutique Hotel Mykonos. JIMAT di Agoda.com! Ada soalan mengenai Vencia Boutique Hotel? Terletak pada kedudukan yang baik di kawasan siar-siar, romantik, pantai di bandar Mykonos, Vencia Boutique Hotel menyediakan tempat yang paling sesuai untuk anda berehat seketika dari kesibukan hari anda. Keseronokan pusat bandar hanya sejauh 0.5 Km sahaja. Juga terletak berdekatan adalah Minima Gallery, Muzium Maritim Aegean, Evelin Gallery. Menawarkan tetamu perkhidmatan yang unggul dan pelbagai kemudahan, Vencia Boutique Hotel komited untuk memastikan penginapan anda berada di tahap seberapa selesa yang mungkin. Penginapan ini menawarkan Wi-Fi percuma semua bilik, pengemasan harian, khidmat teksi, meja depan 24 jam, simpanan bagasi untuk memastikan tetamu menikmati keselesaan yang terbaik. Vencia Boutique Hotel mengandungi 34 bilik yang dihias indah dan menawarkan televisyen skrin rata, selipar, tuala, ruang tamu asing, internet wayarles. Senarai lengkap kemudahan rekreasi boleh didapati di hotel, termasuk kolam renang terbuka, menyelam, rumah urut, menunggang kuda, taman. Apabila anda mencari penginapan yang selesa dan mudah di Mykonos, ijadikan Vencia Boutique Hotel sebagai rumah anda seperti berada di rumah sebenar. 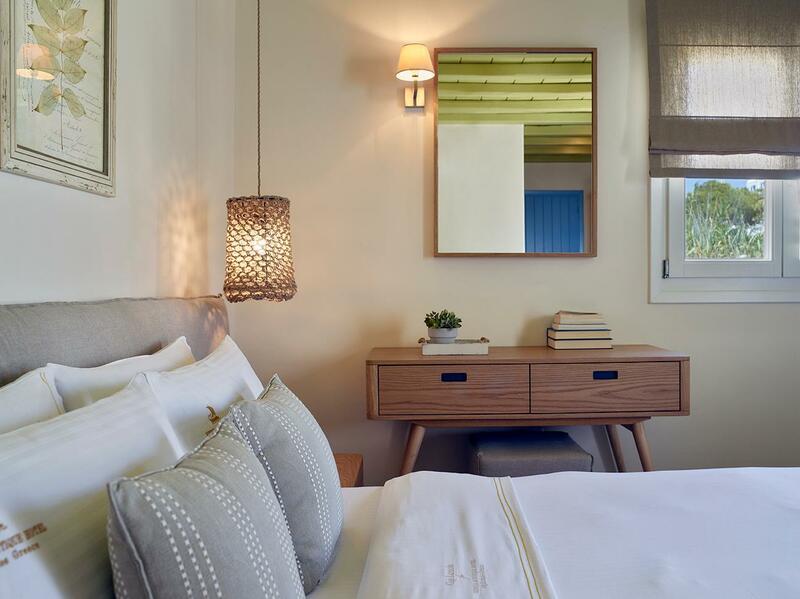 Incredible boutique hotel close to the heart of town. Wonderful sunset views and the staff was amazing! Would highly recommend to anyone wanting to stay near old-town. Beautiful hotel, superb location ( but it means a climb back up hill and steps from town), amazing staff, breakfast excellent, infinity pool area and pool bar staff legendary! Will stay here again! Room was nice and clean with good view. We were 4 couples and two out of the four room the air conditioning wasn’t working at all. The staff checked it but didn’t seem to care. We couldn’t get any sleep and for what we paid not acceptable. Would highly recommend this hotel. Views were stunning along with the infinity pool. Staff were amazing and couldn’t do enough for us. Staff are friendly and fun. There was a good atmosphere between guests. Pool is lovely, could do with some more parasols as we didn’t have shade for one day by the pool. View of sunset is great and we enjoyed the 5 minute walk into Mykonos town. The suite decor was quite dated but we had a lovely balcony with sea view. Breakfast is ok, nothing to write home about. Overall was lovely for a 2 night stay. Amazing view, location, breakfast. Super friendly staff. Impossiblr to complain. Perfect stay! Nice place and staff are really nice. They will help what you want. It was a very comfortable experience. Beautiful hotel with the best sunset view. Rooms facing the ocean were to die for. They had full amenities in the rooms m, Beds are very comfortable and spacious. The cafe was a bit on expensive side but it had quality food. Hotel breakfast had a large spread with great choices as well. The infinity pool and bar area facing the ocean was gorgeous. Its a bit of a walk to Mykonos town but not so far. The walk going back is a tad strenous but very bearable and still pleasant. The location is amazing the view is stunning the staff so attentive the property feels romantic rent a car is just in front of the hotel.. The hotel location is ok since its hard to walk down to the Center.Staff at the hotel very friendly and helpful. Breakfast ok but nothing special. Rooms are ok, missed tables in room and on the balcony.Restaurant dinner nothing special and prices for a bottle wine way up to expensive.View very nice and unique. A mix of guest with children and some younger crowd from all over the world.Noises are strong and not easy to relay.We would recommend this hotel for people who like it a little bit more hectic and don't care about the noise.Not to recommend when you like to relax and you like it more calm. Bit of a hike to the main part of town (Chora), but worth it. Staff was exceptionally helpful. Amazing views. Excellent breakfast. Love the view from our room. It is really amazing with the Aegean Sea. Easy to get to the city centre. We hope can stay in Vencia with more days. 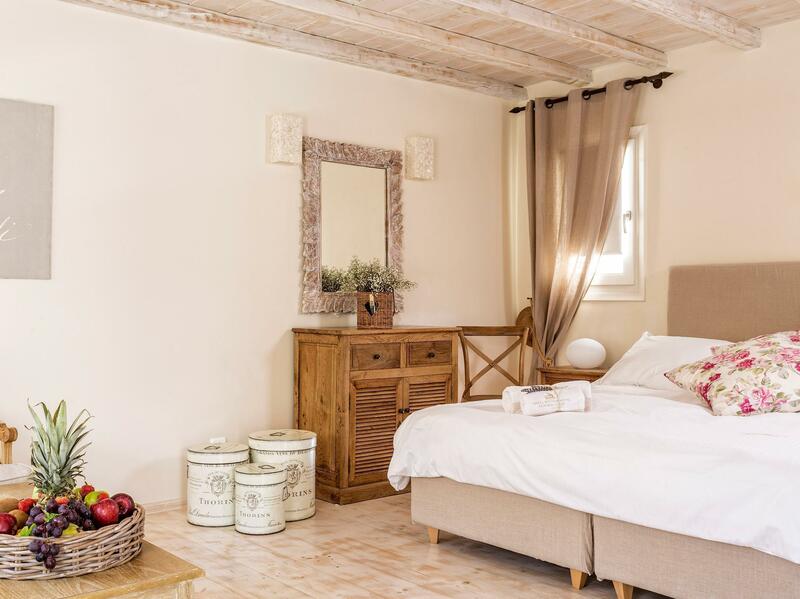 I absolutely loved Vencia Boutique Hotel. The staff was so caring and friendly and made me feel at home with their warm welcome. 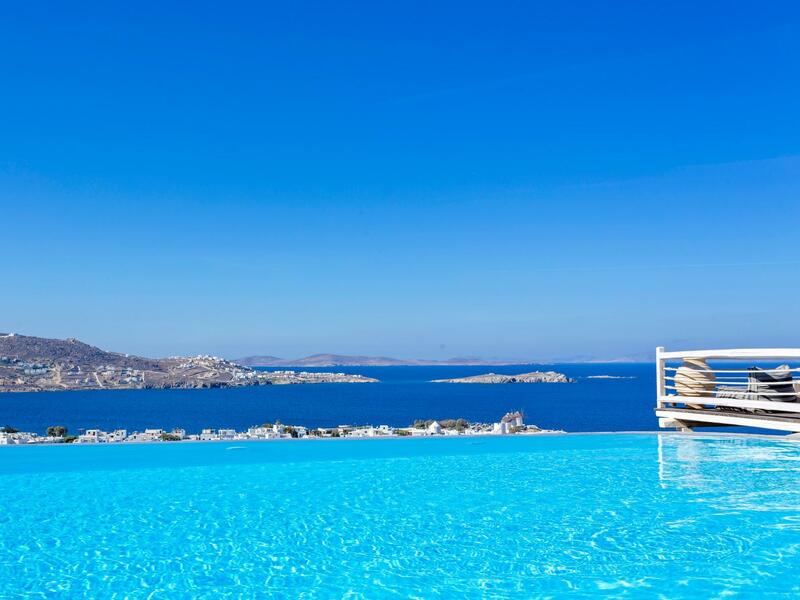 The views of Mykonos town over the infinity pool are spectacular. The terrace and pool area is like a spa resort. Visitors including me lounged for hours to soak in the stunning views and enjoy the tranquility. The bar specialist, Dimi, at the Tiki bar is fantastic. He is extremely professional and knowledgeable. The restaurant is superb with a romantic ambience. The hotel property was very clean and charming. The walk down the steps to town may be challenging for some but generally they were not steep and took only about 7 to 10 minutes to get to the wonderful boutiques and restaurants. My three day visit was too short and I will be coming back with my family for a longer stay! The staff, pool, views and location were all superb! Even the breakfast and the food at the hotel were very nice. Our only complaint was the room - although kept very clean - it was small and dated in comparison to other hotels we've stayed at in Greece. There is nothing bad to say about the Vencia. Nothing. Perfect in every way, especially the infinity pool, insanely excellent cocktails from an expert mixologist/bartender, amazing room, beautiful balcony, best location with the best sunset views, perfect chill ambiance, fantastic front desk staff and an insane breakfast. I would stay here again and again every time I go to Mykonos. Absolutely stunning and perfect in all the ways! Walking distance to downtown. View of the city and ocean are amazing. 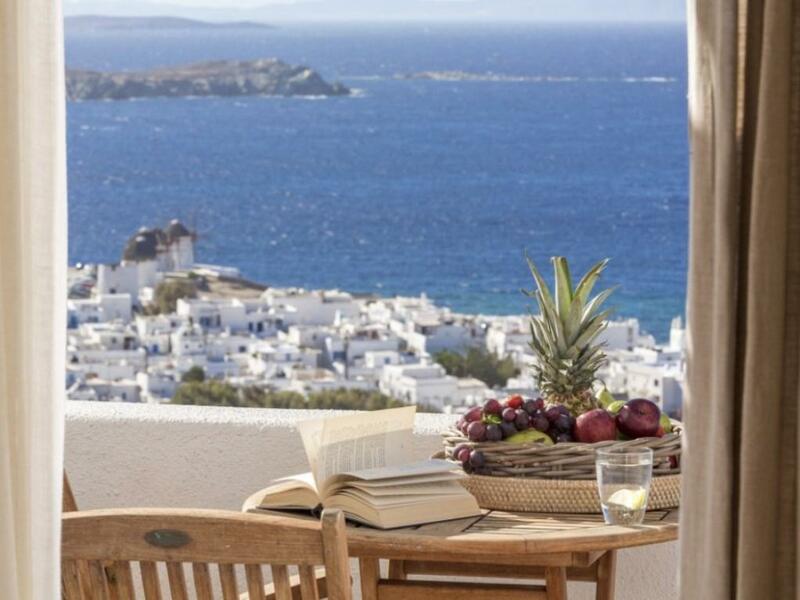 This hotel has one of the best view of Mykonos Town. Staffs r very helpful ,polite and very friendly.My seaview rooms had fantastic view.Breakfast was nice. Negatives - Difficult to get a taxi from hotel. Be prepared to walk uphill for 1 kms if you are coming from Windmill or Little Venice.If you have your own bike/car it's fine. Bathroom is very small and its very difficult to take bath. Over all we had a lovely stay in this Boutique Hotel. Our stay at vencia was outstanding, we stayed 3 nights in total we flew from athens to mykonos and a staff member met us at the airport for a complementary transfer to the hotel (they also dropped us at the ferry terminal on our last day free of charge) just make sure you email the hotel to organize this prior to arrival! The staff at the hotel were all lovely our room was in a world of its own with a big balcony over looking the pool and the view over mykonos town and the ocean. They bought 2 glasses of wine up to the room after we arrived as a congratulations as we were there on our honeymoon. We never ate lunch or dinner there but the free buffet breakfast was delicious! Very spacious bathrooms and comfortable beds. Will defiantly stay again if we ever go back to mykonos!